The sun came out! Hooray! 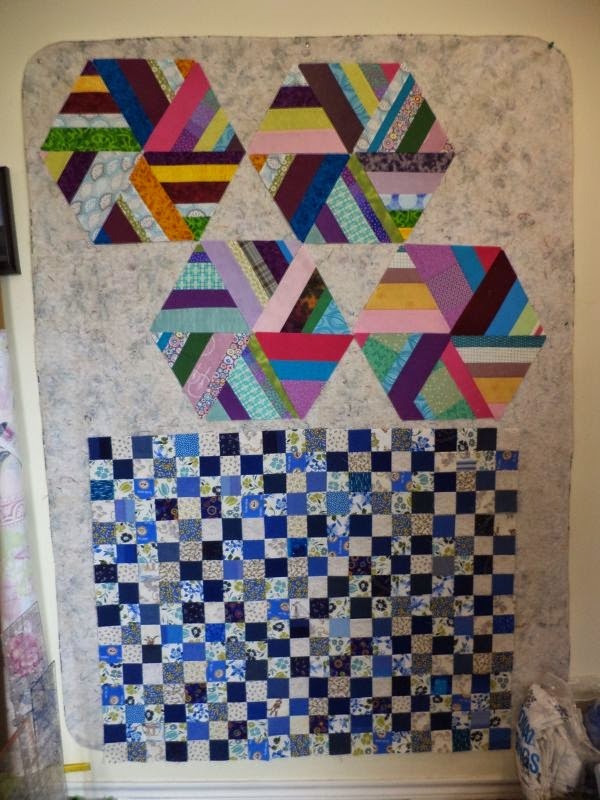 I have the makings of a couple of scrap quilts on the design wall. I am still deciding what to do with those blue and low volume scraps on the bottom. I have planned to use them as 16 patches and sash them, but I like the look of them together so much! Decisions, decisions. 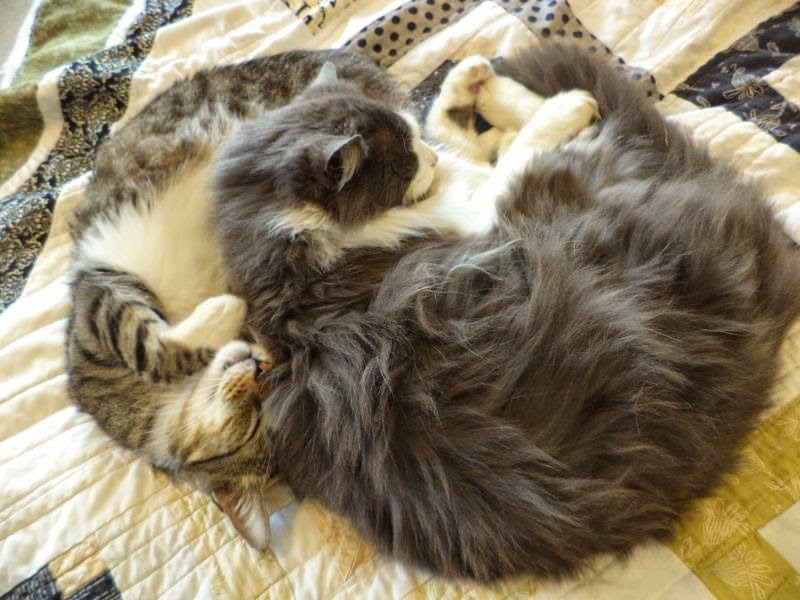 And how am I supposed to get anything done when these two and making a nap look so good? Your blue and white blocks are wonderful! I made a quilt from orange and white blocks in January and just left it as is. I thought about appliqueing something on it and still might. Love yours! I like them all together too!! Those Hexagon blocks are awesome! Love the twirling action! !